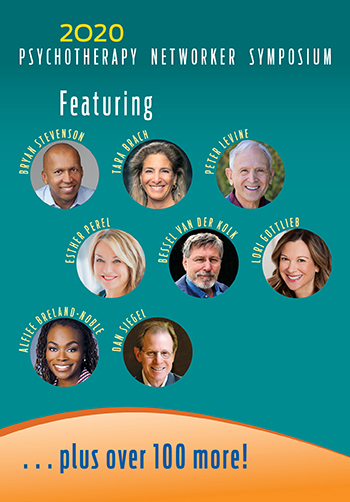 For 43 years, the Networker Symposium in Washington, DC has been psychotherapy’s most celebrated annual gathering, with 150 workshops, over 100 of the field’s leading contributors, and a community of inquiring practitioners like you. 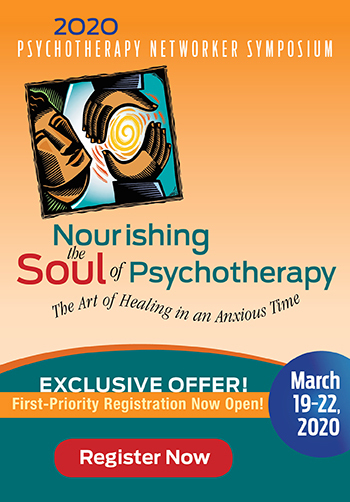 Join us from March 19 - 22, 2020 to explore the latest advances in the field and discover a range of possibilities to bring fresh ideas and renewed creativity into your practice. Plus, get up to a year’s worth of CEs. This year's featured speakers include: Peter Levine, Steven Hayes, Tara Brach—with many more to come! This is a limited-time opportunity to reserve your spot for the 2020 Symposium in Washington, DC at the Omni Shoreham hotel and get this exclusive discount package: best savings. Register today for only $429.99. This is the lowest price available—a 55% savings! When you reserve your spot today, you’ll get FIRST-PRIORITY to select your workshops. A bonus 4th conference day FREE! After you register, you’ll receive a follow-up email from us in a few months with more conference details and information about all the workshop options you can choose from. As in past years, we anticipate a sell-out crowd . . . so be sure to reserve your spot today! The Networker Symposium has a special discounted rate for hotel rooms at the Omni Shoreham Hotel. Click here for rates and availability.